Superman Moonlighting as a Villain. This is apparently from a story that revolved around Superman inventing a villain identity for the express purpose of terrorizing Lois. Apparently “coming up with villain costumes” is not one of Superman’s repertoire of powers. 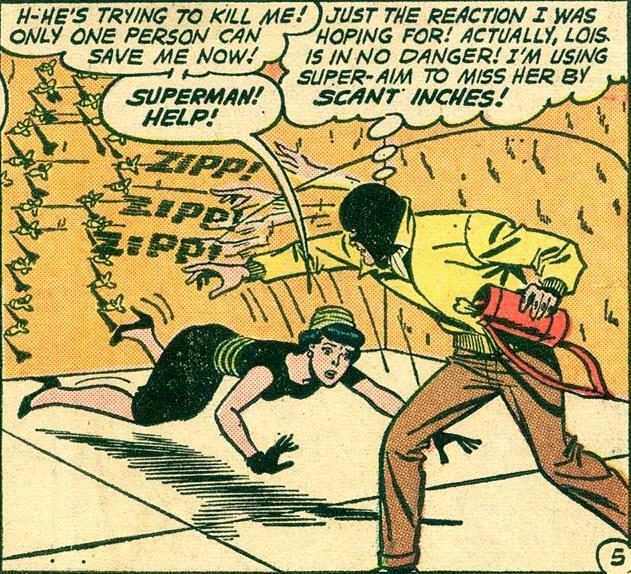 Superman Surrenders Lois to Aliens.